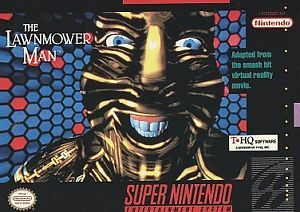 Based on the movie, The Lawnmower Man for Super Nintendo allows you to be Dr. Angelo, and try to keep CyberJobe from escaping into the world. Battle real world minions like guards, giant wasps, killer primates, and remote controlled vehicles. When Dr. Angelo enters the cyber world, he will have to work his way through treacherous tunnels and passages where the enemies are only limited by the imagination.